David Ortiz…Big Papi….There is no denying the impact that David Ortiz had on the Boston Red Sox and Red Sox Nation from 2003 to 2016. For 14 years he was the face of the franchise that smashed 86 years of futility to win 3 World Series titles between 2004 and 2013. When you say the name “Ortiz” you automatically think of David right? Well not so fast…. Once upon a time, long before 2003, there was another Ortiz that had crowds chanting his name. Granted it was mostly in Pawtucket but crowds were still chanting. Back in 1993 and 1994, the Red Sox employed the services of a skinny third baseman named Luis Ortiz. Luis Ortiz was drafted in the 8th round of the 1991 draft and spent the summer with the Rookie League Gulf Coast Red Sox. In 1992 he spent the season with the High A Lynchburg Red Sox. Lynchburg made it all the way to the Mills Cup Finals thanks in part to Ortiz but mostly due to a 22 year old starter named Aaron Sele. Ortiz hit .290 for the LynchSox that season and he earned a promotion to Pawtucket for the 1993 season. The 1993 PawSox faltered due to crummy pitching but Ortiz electrified the crowd by hitting .294 that season, earning a cup of coffee with the Boston Red Sox on August 31 against the Texas Rangers. He made his major league debut starting at third base, grounding out in his first at-bat. Then, with the Sox trailing 2-0 against Kenny Rogers, Ortiz singled home Tim Naehring for his first hit and first rbi to cut the deficit to 1. The Sox ultimately lost 8-1 but Ortiz had his moment in the sun. The following night he came in to pinch hit in an extra innings loss to Texas but failed to reach. On September 4 with the Sox trailing 4-2 in the bottom of the ninth, Ortiz pinch ran for Andre Dawson during a rally only for Carlos Quintana to pop up to end the game. Thanks a lot Carlos. His next appearance was September 8th where he pinch hit in a blowout loss to the Chicago White Sox, reaching on a fielder’s choice. He made it to second but was stranded by Rob Deer and Greg Blosser. His next appearance was a pinch hitter in a September 14 blowout loss to the Baltimore Orioles against Fernando Valenzuela believe it or not. On September 25 in a loss to Minnesota, Ortiz struck out but reached on a passed ball. The following night he pinch hit for Scott Cooper and singled only to be stranded at third base by Mike Greenwell. On October 1, Ortiz pinch hit for Scott Fletcher and struck out. Ortiz played in the final game of the season but was 0-2. The 93 BoSox was doomed by a lousy offense and manager Butch Hobson was under heavy fire for his misuse of the lineup. Still, Ortiz got to play for the big club even if it was collapsing at the end of the year. After returning to Pawtucket a hero in 1994, fans would chant his name “Looie! Looie! Looie!” whenever he came to bat. The 1994 PawSox were much improved over the previous year’s team thanks in part to shortstop Jose Munoz, speedy outfielder Jeff McNeely, power hitting outfielder Glenn Murray (no, not the Boston Bruins player) and the pitching of Nate Minchey. Ortiz hit .312 for Pawtucket in 1994 as the PawSox had a great season. Ortiz made the strike shortened 1994 BoSox for 7 games but only managed 3 hits and 3 runs scored. The future looked bright for Ortiz at this point…..but not in Boston. With Tim Naehring and John Valentin posing to be stalwarts on the left side of the infield for years to come, Ortiz had no place to go. New Red Sox general manager Dan Duquette fixed that, shipping Ortiz and outfielder Otis Nixon to the Texas Rangers for Jose Canseco (yes, HIM) on December 9, 1994. Ortiz never developed into a star in Texas as they had their own third basemen in Dean Palmer. Ortiz appeared in 41 games with the 1995 Rangers but hit only .231. He did spend 47 games in Texas’ AAA team in Oklahoma City and naturally hit .306. In 1996 he only appeared in 3 games with the Texas Rangers but was an AAA all-star with Oklahoma City, hitting .317. 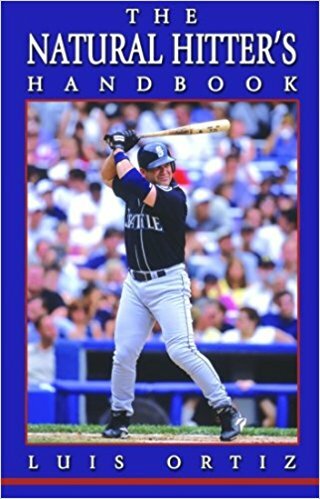 He played most of 1997 in Japan but he hit .304 for the Omaha Royals in 1998. He didn’t get a chance to play in Kansas City due to….you guessed it, Dean Palmer. The following year he ended up with the Louisville RiverBats, Milwaukee’s AAA team, away from Dean Palmer but only hit .263. Unfortunately he went from a speed bump in Palmer to a giant road block in Jeff Cirillo, who was snubbed of an All-Star balot but hit .326 with 15 homers and 88 rbi’s for the Brewers in 99. Ortiz moved on to the Arizona Diamondbacks where he hit .302 for the Tuscon Sidewinders. Once again he had nowhere to go because borderline hall of famer Matt Williams was in his way in Arizona. In 2001 he hit .281 for the Ottawa Lynx, the Montreal Expos top farm team. This time the Montreal Expos third basemen was Geoff Blum who hit only .236 on the season. Ortiz was 31 at that point but he should have been given at least a look, especially since Montreal wasn’t going anywhere and Blum wasn’t lighting the field on fire. In 2002 Ortiz hit .291 for Ottawa and was really screwed because Montreal employed Fernando Tatis at third who hit .226. If there was ever a time to bring up Ortiz it was in Montreal in 2002. Ortiz trudged on and the Ottawa Lynx moved to Edmonton to be the Trappers for the 2003 season. Once again he hit .305 but the stubborn Expos refused to call him up. That was it for Ortiz prime as in 2004 he hit just .196 at age 34 for Edmonton before being released. He signed with the Memphis Redbirds to finish the season but retired. Ortiz was the classic case of caught up in the numbers game although he sealed his own fate by not becoming a star in Texas when he had the chance. Still, you would think Montreal would have given him a look.